It is important for my readers to understand my investigation process, and what exactly I do research on to come up with the end results for the programs reviews. Leaders / Management – CEO, support, legal. Membership Price – Required start up costs, membership variations (what you get with each) and prices, etc. Products and / or Services – Prices, competition analysis, market saturation level, etc. Compensation Plan (Pay Plan) – Comp plan architecture, comp plan viability, qualifications for pay, etc. Company Website – Design, professionalism, resources, social media, etc. Current / Past Legal Trouble – FTC, SEC, attorney general, class action, trademark and patent lawsuits, etc. Most review sites don’t go much into depth and detail about the owners, management, and other key people that run the programs. Some reviewers don’t mention them at all, yet, it is a crucial part to any program review. They are the people managing and operating it, so why not include them into the review? Fortunately, I will include them, and their backgrounds in the business world, into my reviews. Because, frankly, if the owners and operators are crooks, then most likely the program is going to be a scam. What product or service are you going to market? Is it cost effective? What value does it bring to the end consumer? What makes it so special that I should consider marketing it? If you were the consumer, and had nothing to do with marketing the product or service, would you personally buy it? These are the questions you should seek answers to when talking products and services. Some questions can only be answered by you, since they rely more on your personal preference. Products or services that have a high ticket price for the value it gives, if any, are sure tell signs that the product is not the basis of the program and can be a cover up for a scam. If there is no product or service at all, then they are really in the red. I’ll be sure to let you know if what they have to offer is actually worth anything. After someone asks what’s the cost to join, they will then ask how they will get paid for their marketing efforts; and that is where the compensation plan, or pay plan as some call it, comes into question. The compensation plan, or comp plan for short, can actually help you determine the legitimacy and viability of the program. A couple of questions that will be covered in my review on certain programs will be if you can get paid without recruiting new members into the program and if the comp plan is more recruitment based than product or service based. Scams tend to focus mainly, if not solely, on recruiting. It is also good to point out that scams tend to favor a specific type of comp plan structure, which is the matrix structure. The program or company website is should give the first impression of whether it’s legitimate or not. Does it look professional and have all the necessary components? Is it up to date? Is there any scam-like content on the site, i.e. Red color font with yellow highlights and/or blurred out images of paychecks? Is their site secure? Their main website will also be under review since they, too, help show signs of legitimacy or fraud. Their site is their online business card. The programs current and past legal trouble is generally the last part to get investigated, but is very important not to miss. Companies and programs with a track record of lawsuits should be avoided at all costs. Lawsuits don’t inherently mean the company or program is a scam; however, if the lawsuits or legal trouble are coming from a government agency, such as the FTC or SEC, then chances are that they are out to defraud people. 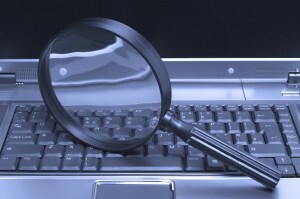 I will also review criminal investigations, if any, on the specific program or company.